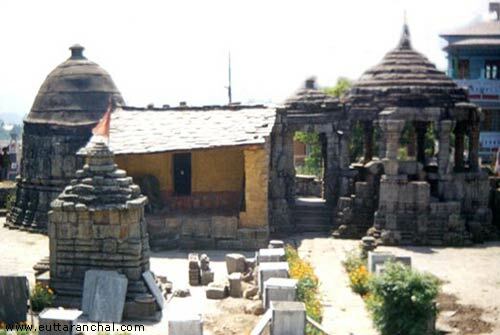 Admist the main city of Champawat is the historical "Baleshwar Temple". 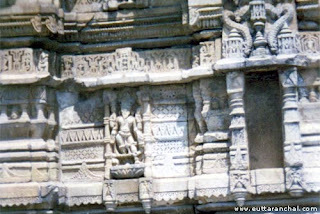 Built by the rulers of Chand Dynasty, Baleshwar Temple is a marvelous symbol of stone carving. 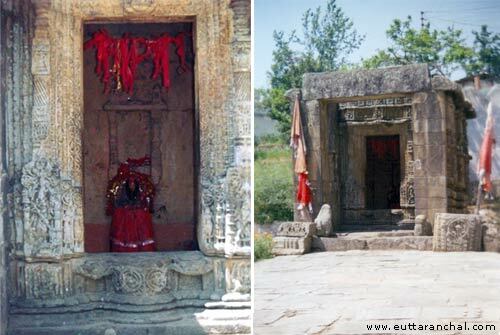 There isn't any historical manuscript that dates the Baleshwar temple, however it is believed to be built between 10 - 12 century A.D.
Baleshwar temples at Champawat has been declared as a National Heritage Monument and is looked after by Archological Survey of India (ASI) since 1952. As the Champawat city has grown up, many residential buildings have been built up in the close proximity of Baleshwar Temple which may harm this national heritage. 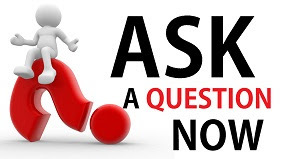 Is the ASI sleeping?? ?The main Baleshwar temple is dedicated to Lord Shiva (who is also know as Baleshwar). 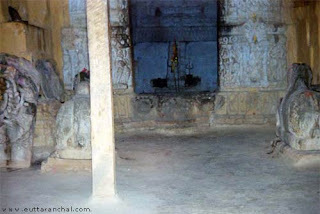 There are two other temples in the compound of Baleshwar, one dedicated to Ratneshwar and other to Champawati Durga. The temple is built on South Indian Architecture with magnificent Stone Carving works. Close to the Baleshwar Temple is a "Naula" (Fresh water resource) which has now dried up. On the day of MahaShivRatri, a very crowded fair is held in the Baleshwar Temple compound. The entire Kumaon region by virtue of its proximity with the Himalayas, has by tradition and legends been associated with numerous gods and goddesses. Champawat district has acquired the unique distinction of being the holy land of gods and therefore, temples of very large variety dedicated to diverse gods including local deities and demons of restricted influence are spread over the whole expanse. 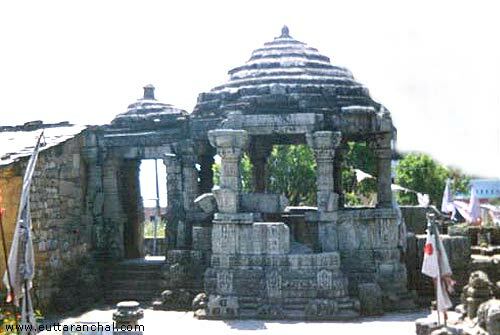 These temples either possess the architectural features of great interest to a scholar or provide sustenance to faith through setting local, associated legends or fantastic design formations. The urge to come back to them is irresistible in as much as they exercise an impact on human psyche that beats all scientific logic. Apart from this these temples are of great interest to a casual tourist from the point of view of design, landscape around and several other features unique to them.